This product is a magazine insert that converts your Gen 2 or Gen 3 5.56/.223 PMAG® housing into a 9mm magazine to use with a standard AR lower and 9mm upper of your choosing with a Glock or Colt variant 9mm BCG. No modifications to your 5.56x45 lower! Changing calibers is now simply a complete 9mm upper for your AR platform. No nuts, no bolts, no drilling, no bull. Last round bolt-hold open feature, just as an AR15 should function. Built-in ejector designed to perform under intense conditions. Convert your 5.56x45 PMAG? to 9mm in seconds, and easily convert back to 5.56 without damaging your PMAG?. No permanent changes to anything! 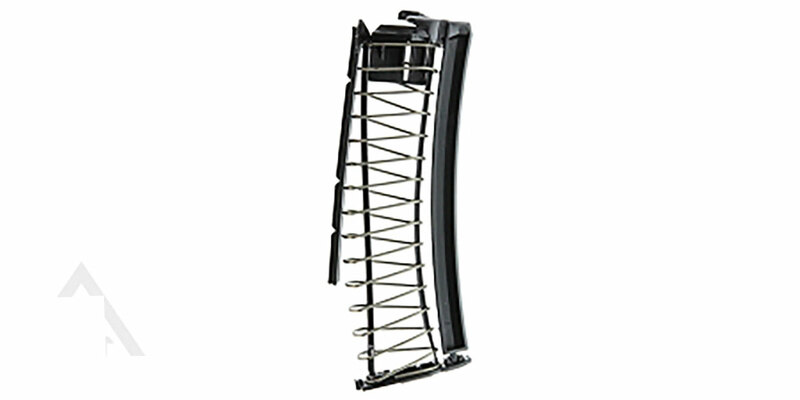 These mag inserts are easy to use, easy to install and after 600 rounds, are still going strong! I bought 3 of these kits and converted some 'new' 556 Pmags to 30rd 9mm mags for use in an AR15 lower with a 16" 9mm upper. simple to install and easy to remove. just follow the online video. my 'new' Pmags were dragging on the 9mm bolt. my 'used' Pmags ran good. so, after adding some wear to the new mag feed lips with a small file, they run fine now. several hundred rounds on one already. makes a great alternative to my dedicated AR9 lowers. Installed easily, but the first round inserted has no spring tension to retain it. Subsequent rounds normal. Would not eject until I cut some excess plastic from the front of the ejector. Does not hold the bolt open on mine.